The next time your parents shop at the store, look at how they are paying for the goods or services. The most common methods used for payment are cash, credit cards, debit cards, and checks. Some new types of payment methods are emerging, like Bitcoin which Amazing Kids’ Editor-in-Chief Ryan Traynor wrote about in February. If you have a chance, remember to read his article. All payment methods are important to know about in order to purchase items. With almost absolute confidence, I can say that you have used cash in your lifetime. If you found a dollar or even a coin on the ground, you’ve come in contact with this type of money. Cash includes both paper money and coins. Cash is a way to transfer goods and services between different people. You may earn some cash for errands you do around the house and then you buy some music from someone else and give them the cash. Cash allows a way to trade between multiple people. The numbers on paper money or on a coin show how much that money is worth. For American money, a penny is worth $0.01, a nickel $0.05, a dime $0.10, and a quarter is $0.25. There are other coins like the half dollars, but pennies, nickels, and dimes are the most commonly used coins. When I was little, I thought credit cards could simply be replaced by any card I found, and a swipe of it could magically purchase any item I wanted. At that time, I never even heard of debit cards and around the age of four or five I realized credit cards weren’t just any kind of cards. As you get older, you will know credit cards create a way to immediately pay for something by borrowing money from someone else (usually a bank) for a while. With credit cards, it is easier to overspend and the situation becomes very similar to a child thinking credit cards can be replaced by any kind of card. 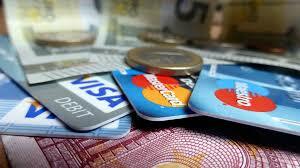 Credit allows you to divide a payment into smaller chunks. For example, you’re buying a piano that costs $5,000, but you can’t pay for it at one time, so credit allows you to get your piano and pay whatever you can now and the rest later. One important thing to remember is that even though it seems like you’re paying less money now, in the long run you’re paying more since credit card companies charge interest. Interest is a fee the company who loaned you money charges on the amount you owe. If you know how to use them properly, there are benefits to credit cards too. With all the security measures credit card companies take, if someone steals your credit card number, you will be able to cancel it. On that note, a credit card number is like a password and is not meant to be shared. When you apply for a credit card, companies will like to see a stable source of income (money you earn) so they know you’ll be able to pay for the money you spend. There are special credit card programs aimed at college students so they can borrow money using a credit card to pay for their expenses, but someone with a good credit history will need to co-sign it in case the student is not able to pay the debts. During fourth grade, I learned about debit cards. Well, enough to know they were different from credit cards, and not just because they have a different name. Debit cards a little similar to gift cards. You may have received a gift card for your birthday, or perhaps for a holiday. The concept behind a gift card is very simple: someone puts money into a gift card and the person sends it to someone else. That person will then be able to use the money while shopping at a store. Debit cards seem like they are similar to gift cards, but instead of having the money on the card, the money comes directly out of your checking account. Some debits cards include a feature that you can put a balance on the card that is drained like a gift card, but most debit cards are attached to a checking account which is charged for each purchase. Many experts recommend that consumers use debit cards over credit cards since it guards you against overspending and having to pay hefty interest. But, be warned: you must remember to keep track of your purchases on your debit card and deduct them from the running balance on your checking account or you may run out of money and be charged fees called overdraft fees. Debit cards can be a shield against overspending, if you tell your bank to not allow purchases beyond what you have in your account. ATM cards are very close to debit cards. ATMs (Automated Teller Machines) allow people to do basic transactions without a human teller or representative there. You can withdraw or deposit cash into your checking account at an ATM with your debit card. It’s simple to find just any ATM that is closest to you, but if you withdraw money from another bank’s ATM than where you have your account, both banks may charge a fee – so be careful. A check is a piece of paper that tells your bank to move money you have stored in your checking account to someone else’s account. When you pay someone with a check, the money gets deducted from your checking account and moved to their account. You must have money stored in your account for this process to work or you will be assessed a fee. Writing a check means you don’t have to carry cash with you to buy things. This saves you from losing your cash, which can’t be replaced. When you write a check, remember to use a permanent ink pen and write neatly. A good rule of thumb is to draw a line after you write in how much money you want to pay to person XYZ. That way, someone can’t alter the amount of the check. Don’t ever sign a check until you are ready to give it to someone. This keeps the money safe in your account in case you lose your checkbook because no one else is authorized to sign a check except the owners. Checks are useful when you want to have a record of your payment for something. This can be for personal services like a tutor, hair dresser, or a plumber. Or, checks can be used for regular payments like rent, house payments, electricity, or tuition payments. The bank gives you a statement each month of the checks you have written. Another advantage of checks is that you can mail a piece of paper to someone to make a payment, without worrying about cash being lost in the mail. It may also be accepted as a form of payment by a store that doesn’t accept credit cards. There are many ways to exchange money from one person to another besides exchanging physical goods and bartering like people did a long time ago. Now we have methods of payment that make things easy, convenient, and safe. Whether using cash, credit cards, debit cards, or checks, all payment methods have pros and cons. Now you are informed and you can use the best method for you.